Real Madrid president Florentino Perez is reportedly prepared to travel to London to personally negotiate a transfer swoop for Chelsea star Eden Hazard. The Belgium international’s future remains up in the air somewhat after a protracted contract saga that has left him with just over a season and a half remaining on his current deal. Hazard remains a prime transfer target for Madrid, and Don Balon claim Perez is set to step up efforts to land the 27-year-old by travelling to London to do what he can to persuade Blues chief Roman Abramovich to sell. Los Blancos urgently need a big name like Hazard in attack after selling Cristiano Ronaldo to Juventus in the summer without really bringing in a top class replacement. Eden Hazard heading out of Chelsea? Mariano Diaz has made a slow start at the Bernabeu and always looked a bit of a gamble anyway, and someone like Hazard would unquestionably be more ready to step into the boots of the legendary Ronaldo. 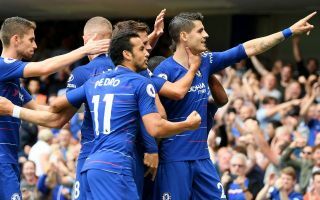 Chelsea, however, will surely do all they can to keep their star player as much of their best form this season has relied upon him making the difference in tight games with a moment of class or skill.